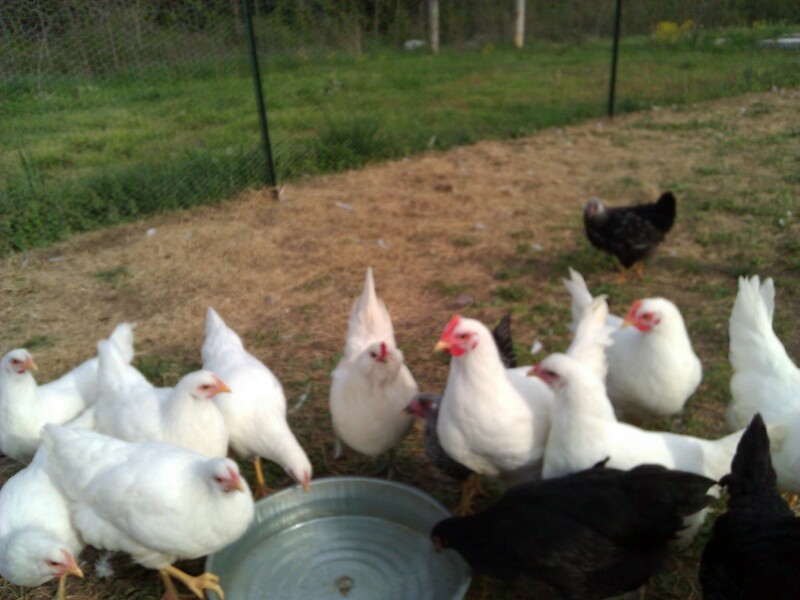 Not much to say about this other than chickens…. 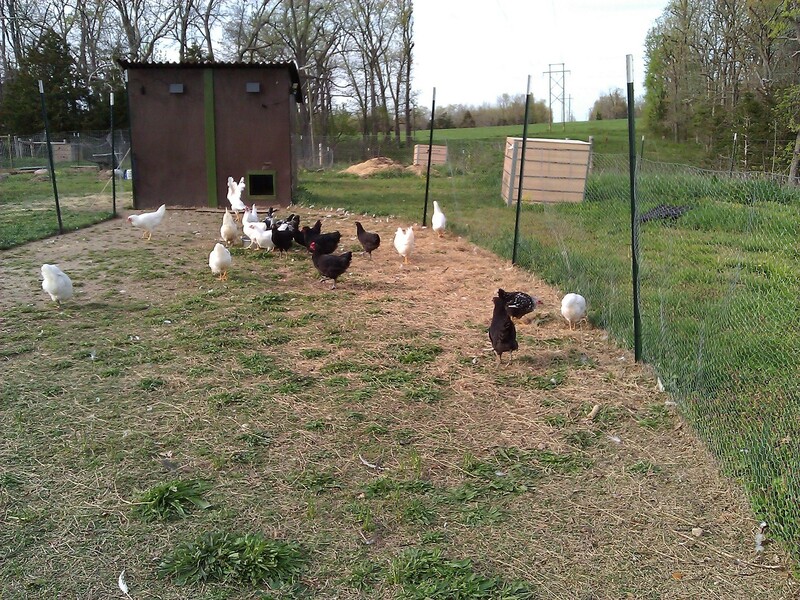 Chickens running from me as I employ Blueberry’s method of herding them. That is to yell CHICKENS! while coming at them. It’s not a method I recommend. Blueberry has named this guy (gal?) Peepers. We aren’t sure what kind of chicken he is as he was the “free exotic” that we got with our other chickens from Murray McMurray. 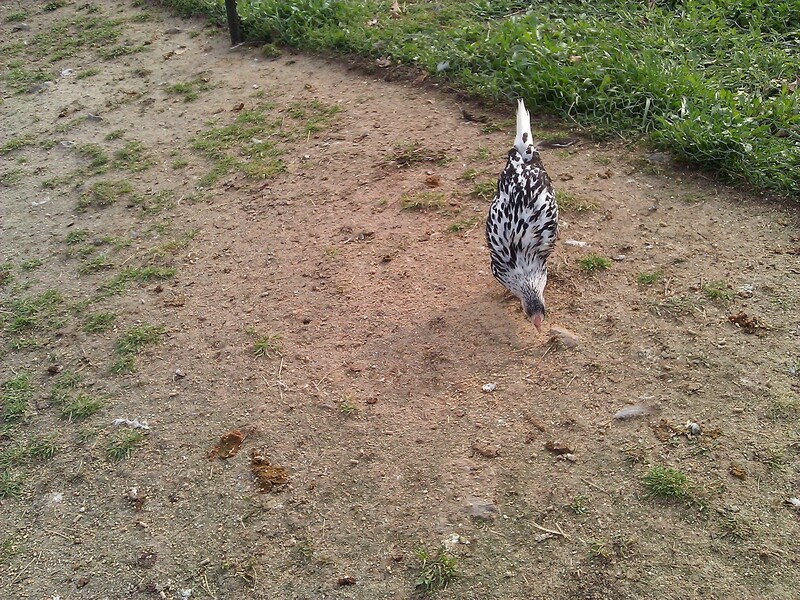 Frankly, the way he looks and moves, I think a Roadrunner snuck into the mix. This is Bob. Obviously he is not a chicken. 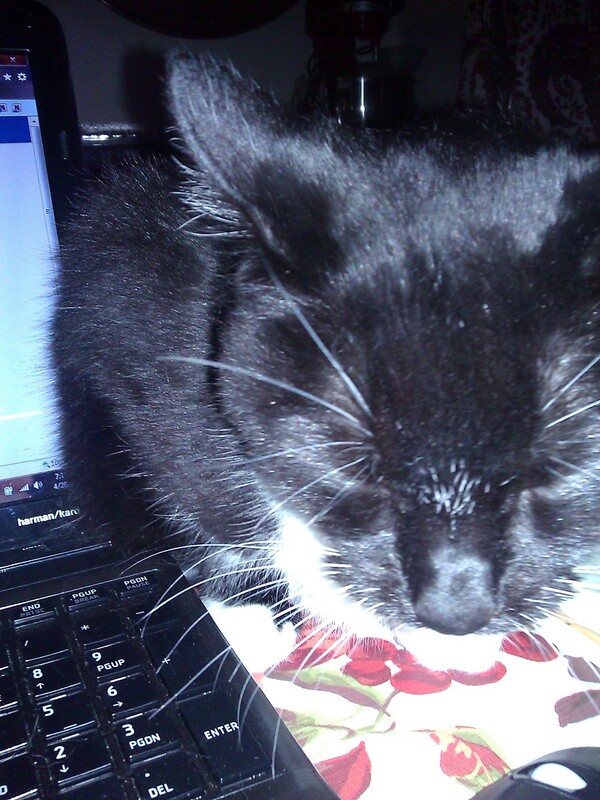 He is my 15 year old cat who often lays across my laptop when I’m trying to work, blog, surf, whatever. He contributed to this post by getting off the keys. I think this is my favorite picture with the black and white Jersey Giants and the White Rocks. I like to imagine them around the water tub giggling and telling stories. Probably about the dorky chicken who just stepped into the middle of the clean tub depositing dirt. Thanks for nothin dude.